It was created by Chip Ellis and mirrors White’s Gretsch acoustic. Jack White has taken to Instagram to flaunt his brand-new custom Acoustasonic Tele, the first of its type out of Fender Custom Shop. With the popularity of Fender’s biggest NAMM 2019 release, it was only a matter of time before we saw an artist’s custom model. That honour has gone to the Raconteurs’ frontman and from White’s official Instagram page, it looks like he debuted the new axe at Third Man Records’ 10th anniversary party this past weekend. 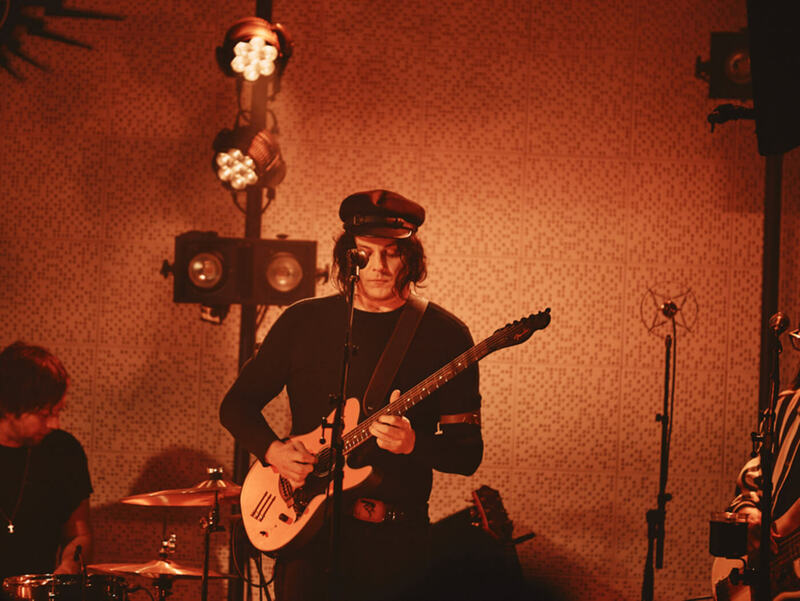 Another post on the Raconteurs Instagram page suggests that White is plans to take the customised Acoustasonic Tele on his upcoming tour. It also gives us a clearer picture of the guitar, which has obviously been modelled after his own Gretsch acoustic, “Claudette”. Details of the guitar are not yet available, but from what we can see it features a scratch plate that recalls Gibson acoustics, a black headstock, unique inlays and White’s three-arrow logo. Wondering how the Fender Acoustasonic Tele sounds? Check out our review here. Read more artist news here.